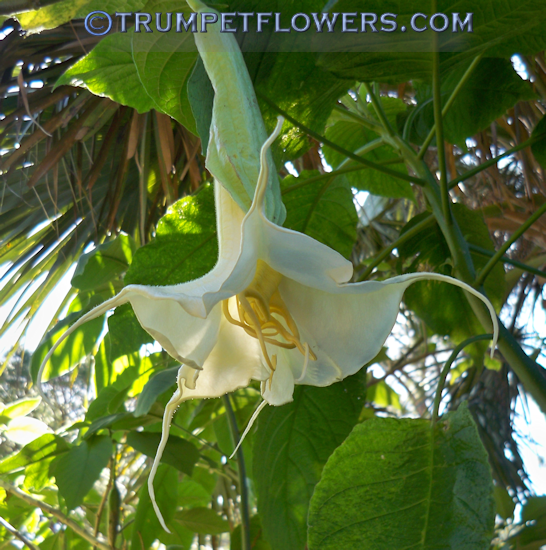 Brugmansia Angels Summertime on first day of an open bloom on a warm January morning here in South Florida. Smells of Mint and Fruit, wonderful combination of the two scents if you are into fragrance. Angels Summertime blooming a couple for me in April, 2013. This is a very young plant, from a cutting last summer. More Photos of Angels Summertime at BGI. 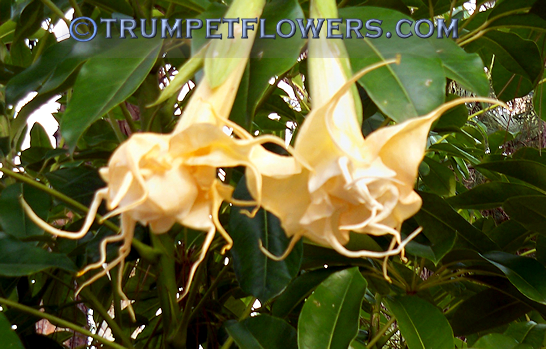 This entry was posted on January 16th, 2013 and is filed under Brugmansia Gallery.